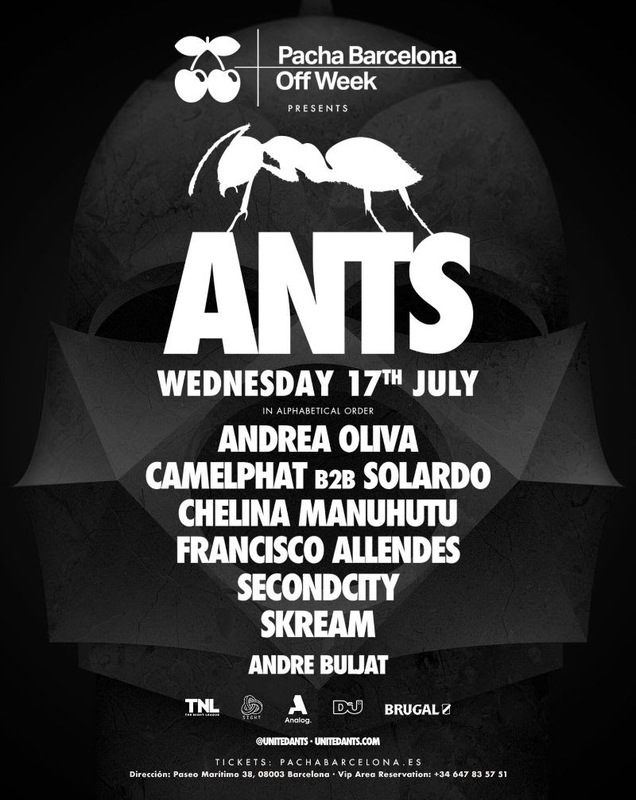 Ibiza brand ANTS will join Off Week Barcelona this year with a partyy at Pacha on Wednesday, July 17th. The ANTS takeover will see an exclusive b2b performance from grammy nominees Camelphat and British duo Solardo. Residency favourites Andrea Oliva and Francisco Allendes will also be joined by Secondcity, Skream, Chelina Manuhutu and Andre Buljat.